PHILADELPHIA (March 29, 2019): Earlier today, the United States Department of Health and Human Services announced funding decisions for the Title X Family Planning Program. AccessMatters, a public health organization based in Philadelphia, has received funding to continue its role as the long-standing grantee in Southeastern Pennsylvania for this vital public health program. The Title X Program serves teens and adults with counseling, information, and preventive sexual and reproductive health services, including: breast and cervical cancer screenings, birth control and fertility awareness info, and STD/HIV testing and treatment. AccessMatters’ Information Hotline is a key component of the region’s Family Planning Network and connects consumers directly with the family planning provider most convenient to them. 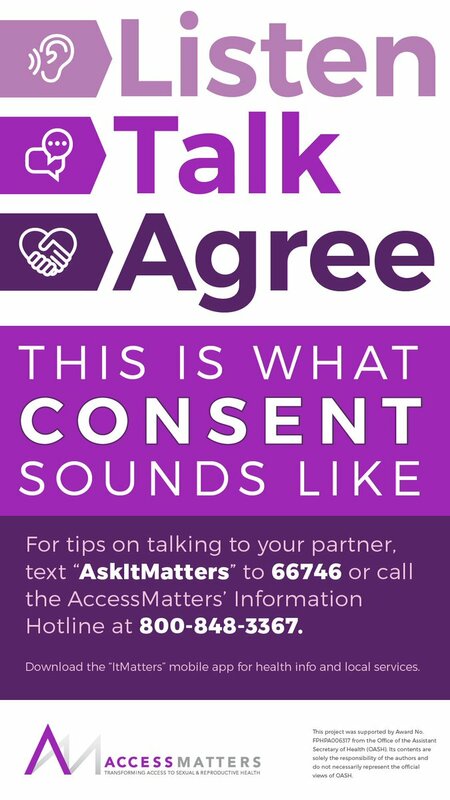 The hotline can be reached at 1-800-848-3367 or via text by sending the keyword “AskItMatters” to 66746. With 20 health care partner organizations serving over 103,000 patients at 73 sites throughout Southeastern Pennsylvania, AccessMatters’ Title X network is one of the largest and most diverse in the nation. AccessMatters’ network includes hospital-based sites, community-based health centers (including federally qualified health centers (FQHCs), public health centers, freestanding women’s health centers, homeless shelters/drop-in centers, youth detention centers, school-based health centers, and college student health centers. AccessMatters’ Title X health care partners provide services in a wide range of settings to ensure that patients have many options to choose from in finding a practice that works for them. Care is provided confidentially and respectfully by providers who are trained to ensure culturally responsible care. Whether provided at a large academic research center or at a small community-based provider, Title X funded care is consistently high quality because of the evidence-based medical standards and core values that guide it. 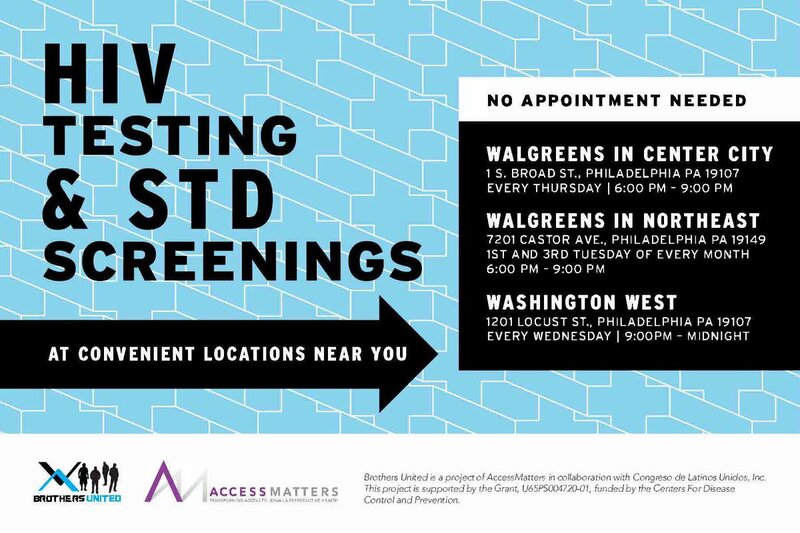 AccessMatters is the catalyst for providing access to sexual and reproductive health care for teens and adults in need reaching over 116,000 individuals annually. For more information about AccessMatters programs, visit www.AccessMatters.org, @AccessMatters4U on Twitter, and @AccessMatters on Facebook.